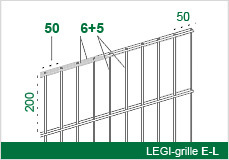 LEGI E is a durable property fencing that satisfies all of your basic needs. The flush mounted grilles have enough flexibility to be able to fence in uneven terrain. 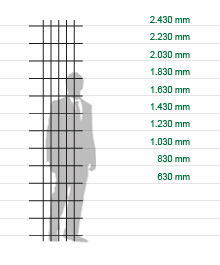 The grille heights of the LEGI E system can be selected between 63 cm and 2.43 metres. 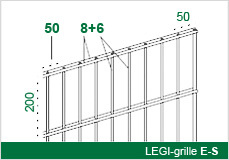 For a fence with the diverse For decorative grilles, please select a variant of the LEGI R.